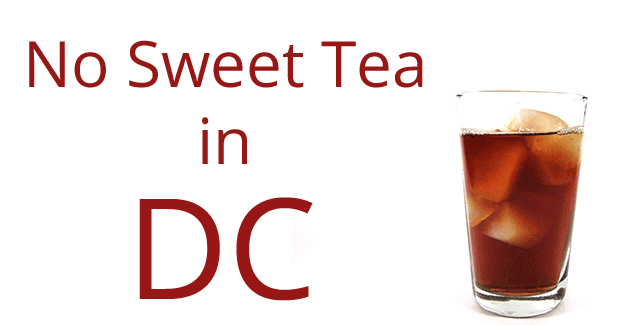 No Sweet Tea in Washington D.C.
You are here: Home / Access This / No Sweet Tea in Washington D.C. I originally wrote this article in October 2008, a few months after my trip to Washington, D.C.
On April 5, 2008 I was chosen to represent Alabama in the Ms. Wheelchair America 2009 pageant. I was thrilled! I was told that I would need a companion, someone that I was comfortable with and knew my daily routine. I was taking Jeff, my fiancé, as my companion. He knew my daily routine better than anyone. The pageant was held July 21 – 27, 2008, at the Rockville/ D.C. Hilton, in Rockville, Maryland. Twenty-five states and the District of Columbia were represented. We wanted to drive up the day before, so we could be there and be rested. That was a long trip; I thought we would never get there. We over slept and got started 3 hours later than we had planned. We had reservations at another hotel for Sunday night and were to check-in at the Hilton on Monday. It was late when we finally got to Maryland and we couldn’t find the hotel. We drove around looking for it forever. Finally we decided to go to the Hilton and ask for directions. When we checked into the other hotel it was almost 1 a.m.
On Monday registration began at noon. Before registration, we went to eat at a little Mexican restaurant near the Hilton. When I looked at the menu to order they did not have sweetened iced tea. After we registered they had a welcome dinner, where all of the contestants could become acquainted with each other. When the waitress took my order, I asked for sweet tea. I was told there was sweetener on the table. With all of the lunches and dinners they served unsweetened tea. I was going to be there a week, I had no choice but to learn to use artificial sweetener. The second day of the pageant, “Fun Day” the pageant officials took us to lunch. They had the police come and stop traffic, while we crossed the street. Again I asked for sweet tea, but the waiter looked at me like I was from another planet. Did anyone understand? I am from “The Heart of Dixie”, I have to have my sweet tea. I could not believe nobody had sweet tea, it is everywhere back home. When the pageant was over, we checked out of the Hilton and checked into a hotel closer to Washington D.C. We were going to see the sights, for a couple of days. That evening we ate at KFC, they had sweet iced tea. I was finally going to get some sweet tea. It was awful! Lemon juice and brown water is what it was. I would rather have had water. Now I understand why sweetened iced tea is called, “the house drink of the south”. No one else knows how to make it. How hard can it be? I was so glad to get back to Alabama and “Milo’s” sweet tea. I love my sweet tea! Next time I take a trip anywhere in the North, I’m taking a cooler and some sweet tea. Or I could just stay south, where they understand the concept of “sweet tea”. This was in 2008, Michelle Obama was not in the White House yet. I don’t think they understand the concept of sweet tea north of the Mason Dixon.